The Bergen Jacket has been a regular within the Rab® waterproof range for several years and continues to offer extremely high levels of durability and breathability. Heavier-weight eVent® fabric reinforces the shoulders for use with a pack and a slightly longer body cut offers increased protection against the elements. 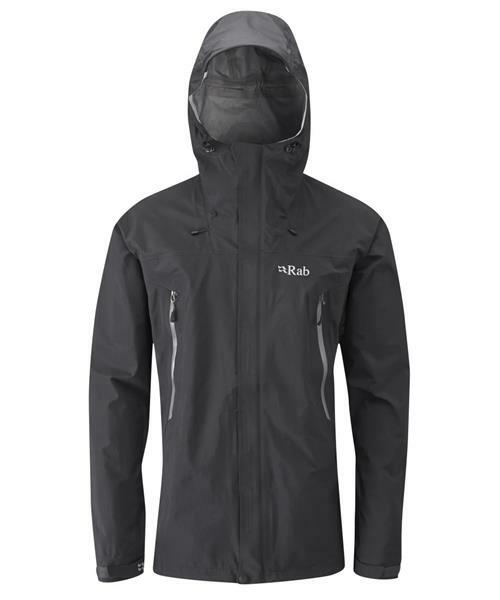 Other key features include a 2-way YKK VISLON® front zip, a regular fit for layering use, and a roll-down hood with anti-snag Velcro tab. Weighing 550g (Large), the Bergen Jacket is still light enough to pack away during long days walking on the hills.